In the laboratory of the mad Professor Thomas Welsch (a.k.a. Tommy Analog), a baby monster was born. Don’t get fooled by its size, as I mentioned: it is a monster! Has a monster sound and monstrous possibilities of sound creation. 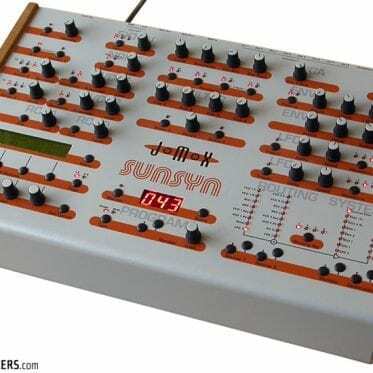 The Tinysizer is an analog modular synthesizer, complete with midi interface and digital effects. 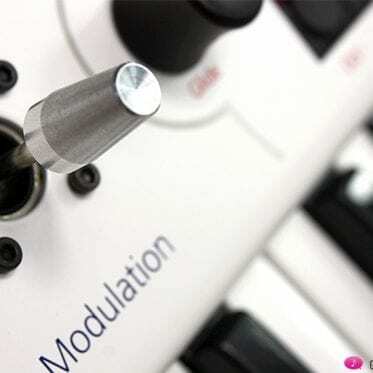 Its main features are small physical size, big sound based on Oberheim S.E.M. 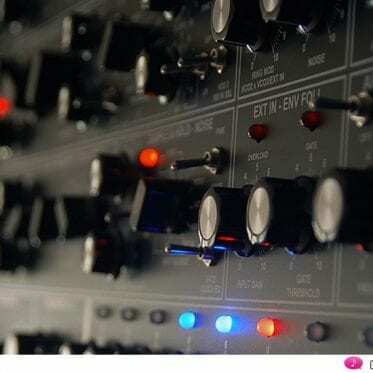 circuits, a patch bay with 350 patch connections, and a variety of really useful modules, like sub oscillators, ring modulator, sample and hold, waveshaper, multiples, etc. 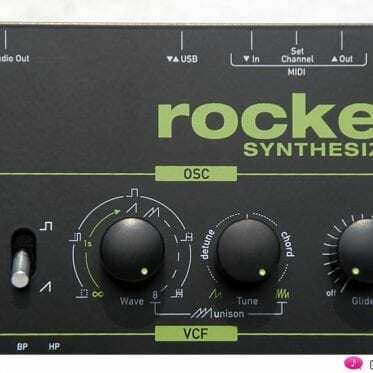 The Tinysizer features two VCOs, based on the SEM synthesizer. They have simultaneous output for sawtooth and pulse waveforms, linear and exponential FM inputs, sync in and out, cv for PWM, independent glide amount, etc. They sound big and full, and have a wide range. 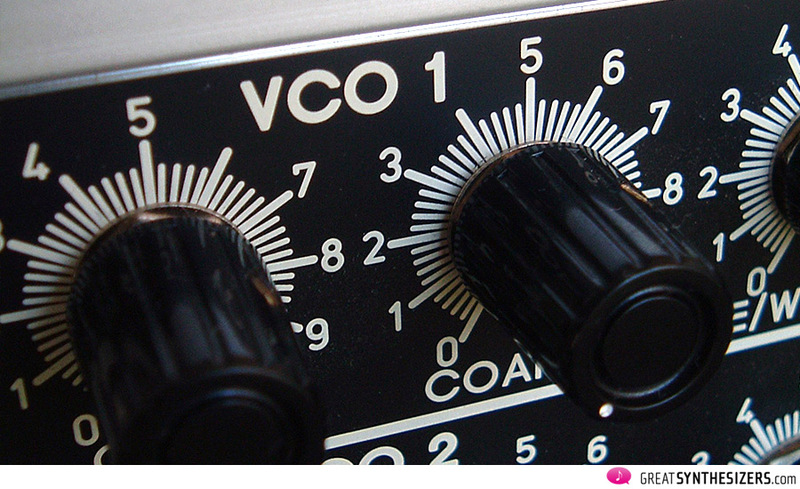 VCO 2 has a sub oscillator, with 1 or 2 octaves bellow VCO 2. Within the oscillator section you’ll also find the VC Waveshaper, which allows you to convert a sawtooth wave into a triangle, to give just an example. 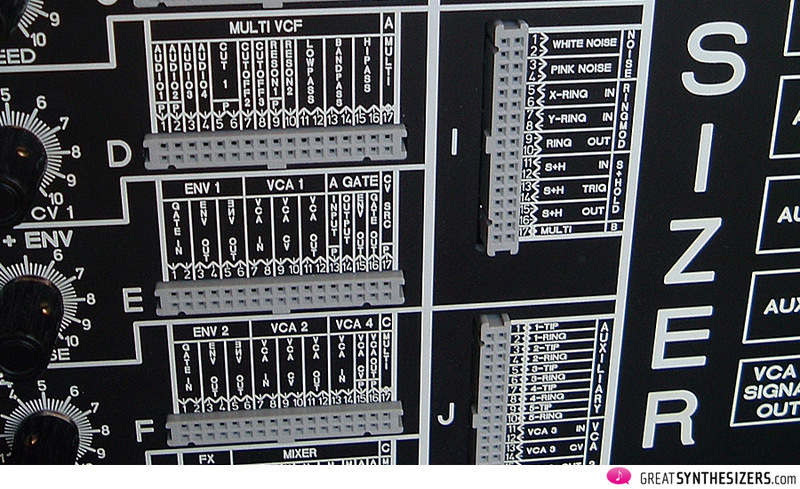 The VCOs outputs combine in the mixer module that is included in the VCF section. 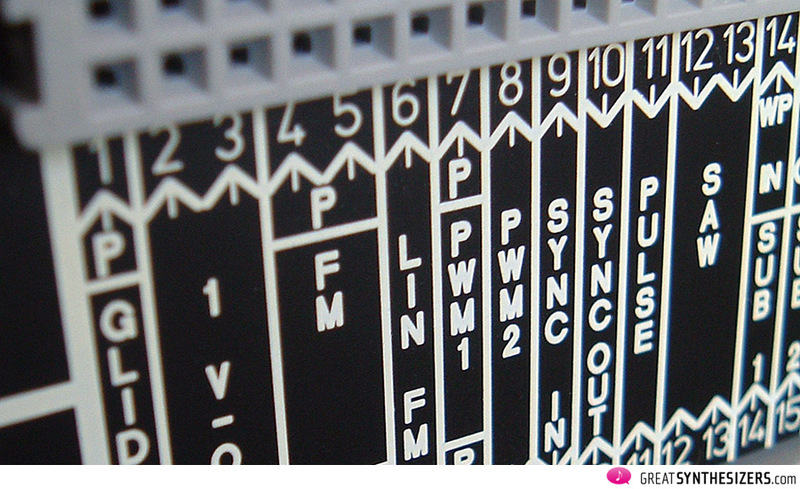 There are 4 inputs, of which 1 and 2 has an attenuation knob on the panel. 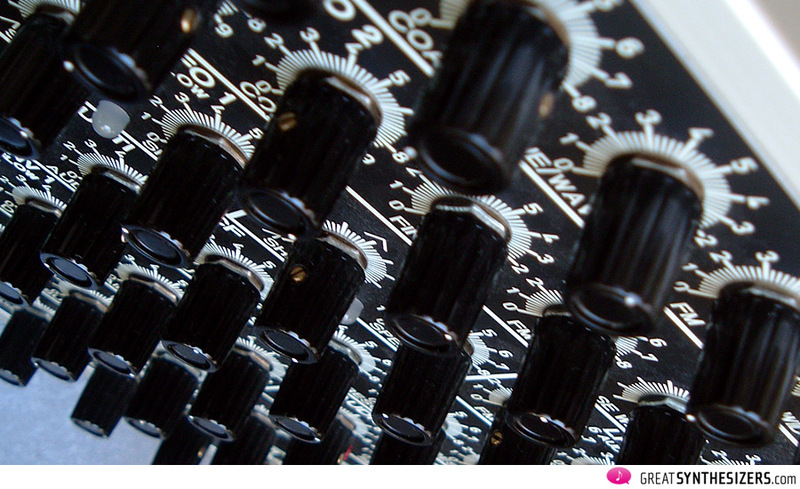 Tommy designed the mixer in such a way that if the input levels are high, a very pleasant saturation is produced. So you can have a clean sound or a wild distorted sound, and anything in between. 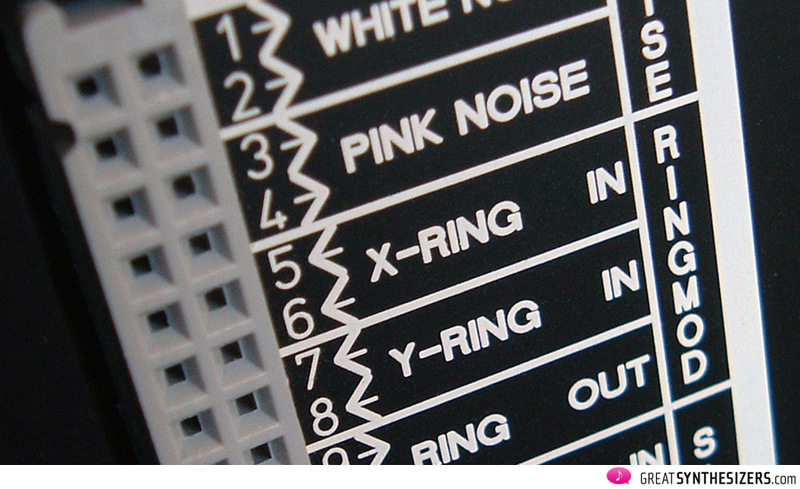 Audio or CV signals can be mixed and processed alike. There’s another two inputs mixer, with a knob for each channel. Each channel has an individual output that you can use as an attenuator, and also an inverted one which acts as an inverter. The mix of both channels goes to “All Out” patch point, as well as “All x10 Out”, which is the same but 10 times louder… that can be used as a distortion effect! 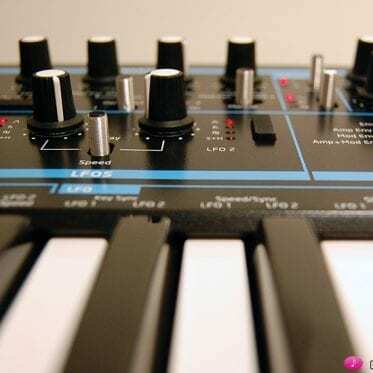 Also based on the Oberheim SEM (one of the best sounding analog synths of all times), the Tinysizer features three modes: LowPass, HiPass and BandPass, each of them with their individual and simultaneous output. Of course there are CV inputs for the cutoff and for resonance as well. 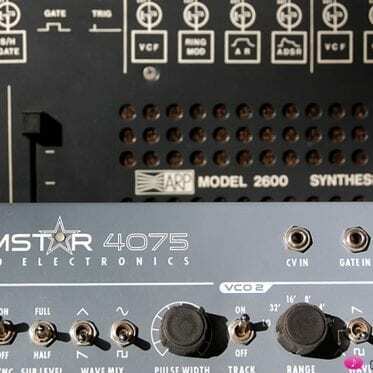 There are 4 VCAs, each one with signal input, CV input and an output. They can be freely used for audio or CV signals. VCA 4 is the most complete of all, with knobs on the front panel for Gain and Offset, as well as its output routed to one of the jack connectors on the right side, as the “final” VCA and the synth’s main output (but obviously as it’s a modular synth, you can configure it differently). There are 3 LFOs inside the Tinysizer. 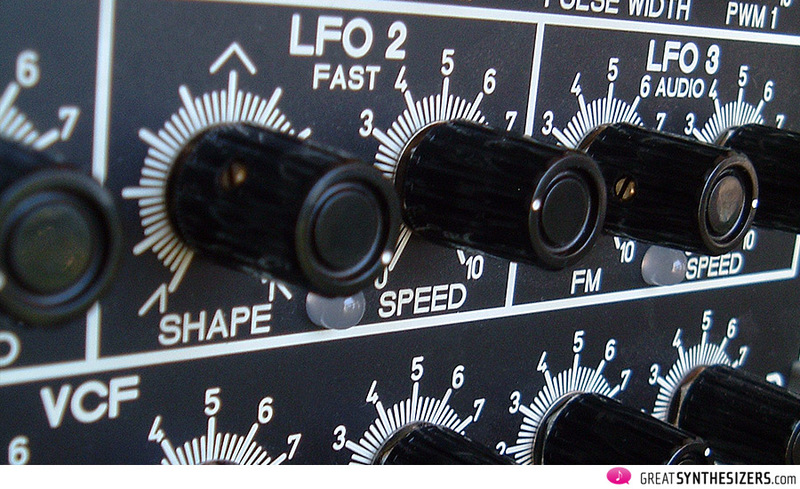 LFOs 1 and 2 have two speed ranges, Slow or Fast, and LFO 3 can go up into audio range. LFOs 1 and 2 have simultaneous outputs for sawtooth and pulse wave, and there’s a “Shape” knob on the panel that can change the waveform from ramp to triangle to sawtooth, or modulate the PW. Also, LFOs 1 and 2 have a sync in to reset their phase. LFO 3 is different, it only has a triangle wave, but its speed range goes higher than the other two, and also has a CV input for speed control. There’s a “slow” and a “fast” envelope. Env 1, the slower one, is better for long and evolving sounds, while Env 2 is better for percussive, punchy sounds. There are gate inputs, and voltage and inverted voltage outputs. Believe it or not, mad professor Tommy saw the possibility of include a digital effect processor for delay and reverb. You will find it very useful on a live situation, and also a it’s a great tool for experimentation within the modular environment. There are several additional modules: 3 “Multiples”, a noise generator (with white and pink output), a ring modulator, a sample and hold, a Mic preamp, an envelope follower, and a gate detector. 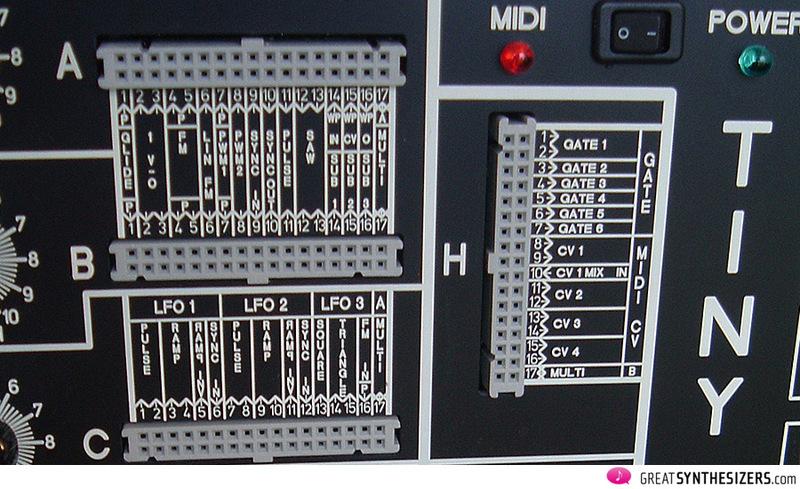 There’s also a very cool Midi to CV interface, with 6 Gate and 4 CV outputs. 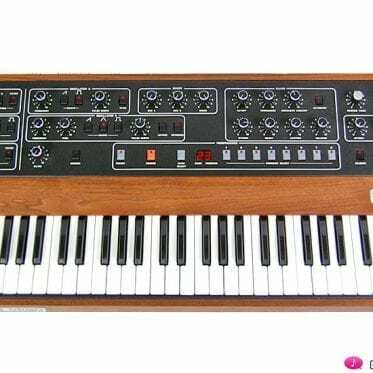 It comes with a PC software for various configuration possibilities, including a midi clock divider, and polyphonic operation. Finally, the Auxiliary section consists of 5 stereo ¼ jack connectors. Both tip and ring are connected to the patch bay system, so you can use the AUX section as 10 in/out interface with the outside world. You can have audio incoming at Aux 1 tip, a CV from LFO 2 going to a modular synth on Aux 1 ring, a CV from an external Envelope Generator on Aux 2 tip, and using Aux 3 tip and ring as output for CV and Gate from the internal Midi to CV converter for triggering an external monosynth. 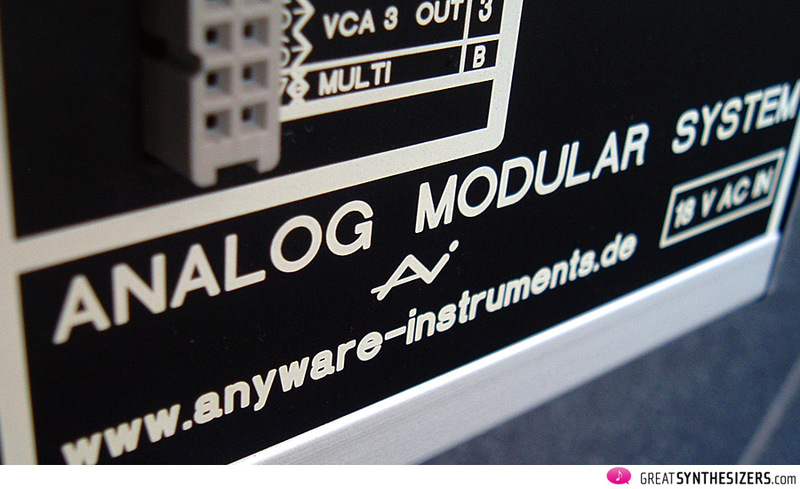 This is fundamental for integrating the Tinysizer with other modular synthesizers, for audio processing, etc. The patchbay is new format, developed by Tommy Analog (whose previous mad inventions include the SEMTEX). It’s based on connectors similar to the ones you´ll find on IDE hard drives, and micro wires. Though they might look fragile, they´re not. 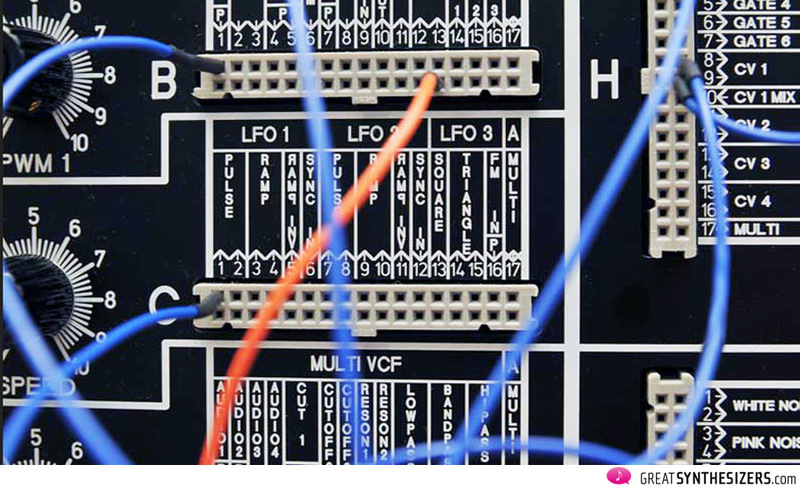 You won´t believe how much practical and fast is to connect different modules compared to traditional patching systems. The signals are easy to follow, everything is easy to plug or unplug. The Tinysizer comes with 40 wires, so you save a lot of money on traditional (and more expensive) cables. 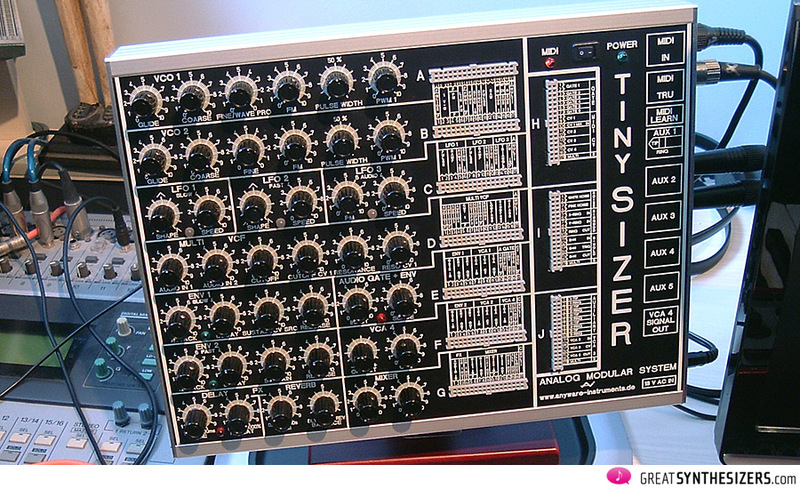 The Tinysizer is an ideal synthesizer for various musical scenarios. 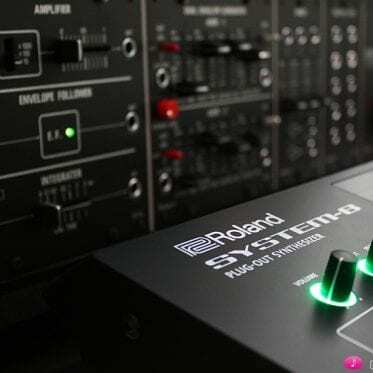 Its small physical size makes it perfect for a project studio that needs the versatility of an analog modular system, without its large size and high price. Big Modular users will also benefit from the Tinysizer: it adds a lot of functionality to the big systems, plus it´s compact enough for carrying to a show, using it as a smaller live setup. 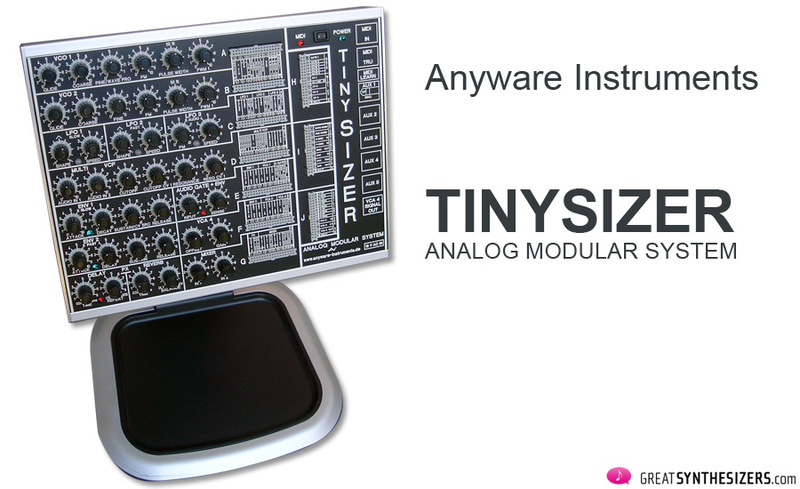 On the Anyware Instruments website you’ll find a PDF manual, download it and check it out, you’ll get a better idea of how cool the Tinysizer is. Film composer Hans Zimmer has one. The great producer Gareth Jones (Depeche Mode, Erasure, John Foxx, etc.) is a big fan of the Tinysizer, as well as two other important users and Mute Records partners, Martin Gore (of Depeche Mode) and Daniel Miller (Label Owner and Depeche Mode producer), are also Tinysizer owners. 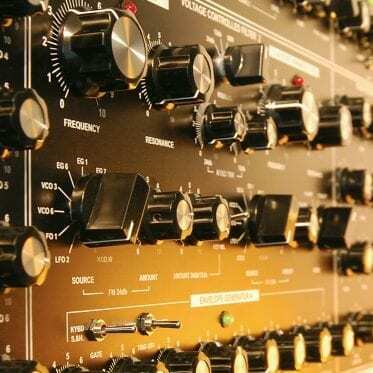 Something tells me you’re going to hear some nice analog timbres on the next Depeche Mode album! Listen to the demos. Music by Javier Zubizarreta and – demo #1 – also by Mauro Tarelli. It’s all pure Tinysizer. Wonderful. Javier Zubizarreta lebt in Buenos Aires, Argentinien. Er beschäftigt sich seit vielen Jahren intensiv mit Klangforschung. Sein besonderes Talent liegt auch darin, moderne Analoge im Stile der Vintage Analogen zu Programmieren. ------------------------------------------------------------------------------ Javier Zubizarreta lives in Buenos Aires, Argentina. He does excellent electronic sound research since many years. 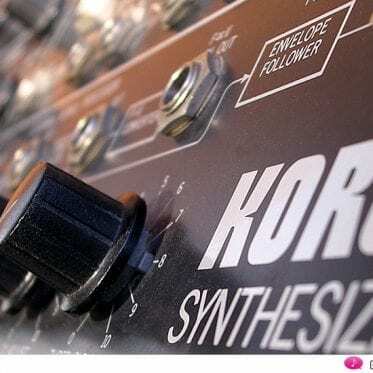 One of his special talents is programming modern, analog synthesizers. He is also an excellent musician.